Guide des "TOP OVERVERHAUL GASKETS SETS"
For A65 and A75 Purchase SA200+ (4) ea 21327 gaskets. C-125, C-145, O-300 SA300 6 ea. E-165, E-185, E-225 SA225 6 ea. IO-360, TSIO-360, LTSIO-360 SA360 6 ea. 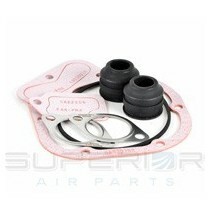 TOP OVERHAUL GASKETS SETS Il y a 1 produit.